SAN FRANCISCO, CALIFORNIA – October 11, 2018 – ForeFront Power is excited to announce that its community solar project in San Diego County is now the first to be approved for San Diego Gas and Electric’s (SDG&E) EcoShare program. The program allows SDG&E customers, including those who rent or cannot install on-site solar, the option of purchasing up to 100 percent renewable energy from an off-site location. Approximately half of U.S. households and businesses are unable to install rooftop solar due to space, lack of sun exposure or ownership limitations, according to the National Renewable Energy Laboratory (NREL). SDG&E’s EcoShare program gives residential and business customers – including those who rent – an easy way to participate in solar without installing or maintaining solar panels. ForeFront Power is developing the inaugural EcoShare program community solar project in Campo, California. Participating customers will sign a contract directly with ForeFront Power to subscribe to a portion of the energy produced from the 2.4-megawatt solar project. In turn, customers will receive a program credit from SDG&E on their monthly energy statement based on the kilowatt-hour output of their subscription with the developer. Both residential and business customers may now express their interest in the project to ForeFront Power in order to start their subscription upon project completion in spring 2020. 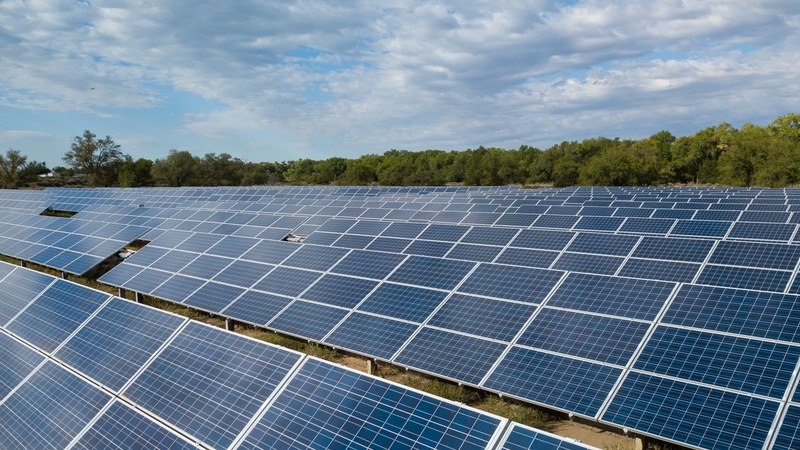 “These new solar plants will deliver sustainable energy options to customers regardless of their ability to access private solar systems, and represents a growing investment in the regional economy,” said Kendall Helm, Vice President of Energy Supply for SDG&E. SDG&E’s EcoShare program is an innovative program to help customers go greener now while supporting the development of renewable energy sources in our community. Through the program, customers within SDG&E’s service area can subscribe to between 25 and 100 percent of their energy use. The EcoShare program is Green-e® Energy Certified. Green-e Energy is the nation's leading independent consumer protection program for renewable energy, and sets environmental and consumer-protection standards established by the nonprofit Center for Resource Solutions. For more information about SDG&E’s EcoShare program, please visit https://www.sdge.com/residential/savings-center/solar-power-renewable-energy/ecoshare. The ForeFront Power team has more than a decade of renewable industry experience, serving business, public sector, and wholesale power customers around the world. Our team has developed over 800 megawatts (MW) of capacity across more than 1,000 projects, targeted on delivering the most impactful behind-the-meter, off-site, and wholesale solutions. ForeFront Power is a wholly-owned subsidiary of Mitsui & Co., Ltd., a global energy infrastructure and investment leader.